If you would like to discuss sharing website links with SBAcci, please contact John Maddox. The premier industry conference for more than a decade dealing with food, beverage, Pharma, and all other packaging applications. This conference is material neutral so we feature presentations and exhibitors from all materials, technologies, equipments and services. Our mission is to bring technologies and business opportunities together for the betterment of the entire industry. Introducing a new conference dedicated to PET and totally focused on PET packaging. We believe that PET packaging is on the verge of new growth - stimulated by a growing economy and the ever-changing preferences of consumers and the transitioning Omni-channel markets. 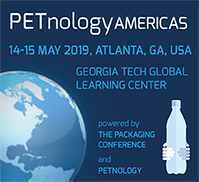 PETnology AMERICAS is a joint-venture between PETnology/tecPET GMBH of Frankfurt, Germany and The Packaging Conference LLC (which is owned by SBAcci and PTI), all of which work in the PET industry every day. Their mission is to produce a conference which will stimulate and facilitate growth for PET packaging. Simple. Straightforward. Relevant. Actionable. Focused. Container Science, Inc. is a unique consulting firm with a dedicated focus on the plastic container industry. Through our fundamental knowledge of the science and chemistry of plastics, we offer our clients materials science expertise for improving the basic performance, quality and economics of polyethylene terephthalate (PET) and other plastic container materials. In addition to providing consulting services, a focus area is the development of quantitative computer models that allow our clients to rapidly predict the performance of a wide range of packages and materials, under a broad range of environmental conditions. We also work on innovative joint development projects with select clients to create new, patentable product and process technologies focused on improving the cost and performance of plastic packaging. Plastic Technologies, Inc. is recognized worldwide as a primary source for preform and package design, package development and rapid preform and package prototyping for the plastic packaging industry. PTI specializes in PET (polyethylene terephthalate) but also offers expertise in other polyesters like PEN, for instance, and in oriented polypropylene preform and package development. Founded in 1985, PTI's office and laboratory complex in Holland, Ohio, USA is home to 85 engineers, scientists, laboratory technicians and administrative staff. Phoenix Technologies is a global leader in recycled rPET manufacturing. The company produces clean, consistent and high-grade rPET resin pellets from post-consumer recycled plastic flake shipped from all over the world. As the foremost manufacturer of rPET, Phoenix sets standards for quality, technology, service and value. Phoenix Technologies is a member of Plastic Technologies, Inc., Holland, OH family of companies. The company is a niche manufacturing operation providing injection, reheat stretch blow and extrusion blow molding for challenging plastic container applications. Preform Technologies’ is also known for its quick mold changes, custom resin blends and preform library.